Did you know I love everything turquoise and teal? I'd probably paint everything in this color palette if I could. I wanted to play up the great door panels, so I sanded pretty thoroughly around every edge to play up the dimension and details. I styled it with a lamp I recently acquired [floor sample from Pottery Barn], and even though it isn't vintage, the hammered metal is industrial and masculine, and photographs beautifully. 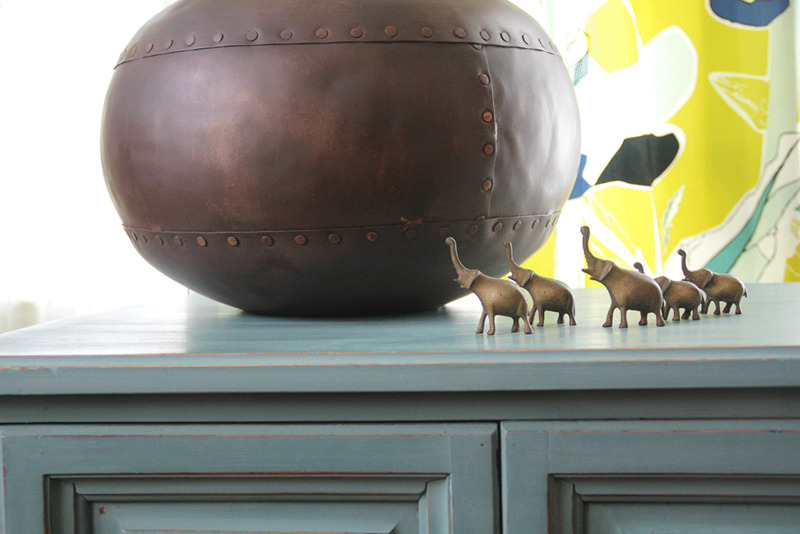 Along with my heard of tiny brass elephants, this nightstand is just lovely. 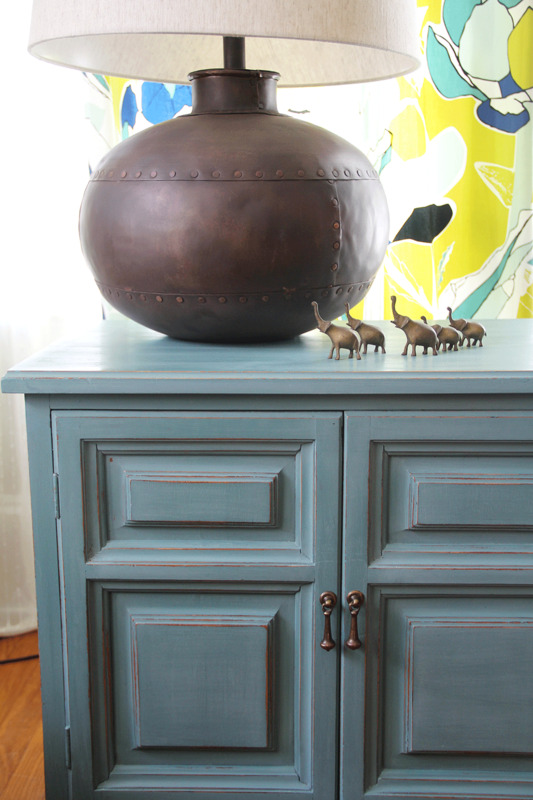 I painted a coordinating cabinet that's a bit larger in the same exact color and distressing style, but since I still can't seem to find door pulls to work for it, I'm posting this guy up for sale solo. If and when I sort out the other guy, I'll post him here. Check Craigslist and my shop in the next few hours, and this little teal nightstand will be up for grabs. In the meantime, I'm off to pick up another dresser. I've racked up three in the last two days, so things are starting to look hoarder-ific here!